Cost: Passes can be purchased for one activity or one day to all four days; transferable and nonprofit passes also are available. There also are a handful of free events. Visit www.ileadwithlovesummit.org for more information and to purchase tickets. Among Gina Murdock’s many goals is to bring Aspen back to a time when the bartenders and the billionaires worked and played together. While it may sound lofty, the Lead with Love founder is actively realizing this objective, as her organization involves the likes of local jail inmates, road workers, hospital employees and CEOs of billion-dollar corporations. “To me, what’s most inspiring about what we do is that we’re just connecting with our community in a much deeper way,” Murdock said. 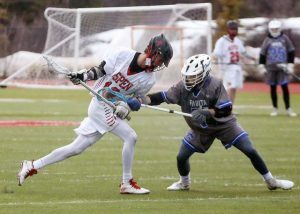 “It really integrates our community in a way that, I think, is part of our history in Aspen where it was a little bit more open as far as people connecting, regardless of financial bracket or what job they did. Formerly known as Aspen City of Wellbeing, Lead with Love is a “social impact” organization and also the name of the nonprofit’s business leadership conference happening through Sunday at the Aspen Institute. Themed around the idea of “Conscious Capitalism,” this year’s conference plays host to an impressive lineup of national business leaders, including Kip Tindell, CEO of the Container Store; Lynne Twist, founder of the Soul of Money Institute; Bob Chapman, CEO of Barry-Wehmiller; and Raj Sisodia and John Mackey, who co-founded the Conscious Capitalism organization. Mackey also is the founder and CEO of Whole Foods; Sisodia is an award-winning business professor and author. A yogi who’s called the Roaring Fork Valley home for a decade, Murdock started Aspen City of Wellbeing in 2014, feeling inspired after a conversation with Deepak Chopra. Chopra was speaking at the Aspen Institute about the effects of yoga and meditation on peoples’ lifestyle and overall health, said Murdock, who with her husband underwrites a “Mind, Body, Spirit” series at the Institute. Motivated by such an idea, Murdock met with several local businesses and organizations, including the city of Aspen, Pitkin County, Aspen School District and Aspen Valley Hospital, seeking to partner and offer yoga and meditation programming at a subsidized rate. “Our focus is really on the local working class,” Murdock said, pointing to a few key issues that plague the valley, such as high rates of depression and mental illness, suicide and poverty. 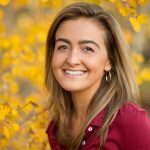 While many consider Aspen a highly progressive or forward-thinking place, Murdock was surprised through her experience how apathetic some are to embrace the idea of a healthier lifestyle equaling less stress and disease. That being said, Murdock’s efforts enabled Aspen City of Wellbeing to forge a number of effective partnerships with local entities. She considers the pilot project with Pitkin County Road and Bridge Public Works as “one of the most successful” to date. Pitkin County road and bridge manager Scott Mattice, who said the department is “so fortunate” to work with Murdock and her team, seems to agree. Much to Mattice’s initial surprise, the bi-weekly program was met with 100 percent participation among the road and bridge crew, which ranges from 21- to early-70-year-olds. While people often identify issues associated with working at an office desk, Mattice said, he believes the negative effects of jobs like construction workers and equipment operators are less considered industry-wide. Partnerships and experiences like these are why Murdock founded the organization. “I would never know those guys if I wasn’t working in this way and doing these projects with them,” Murdock said, going back to the nonprofit’s aim at creating a stronger sense of community. For Murdock and a number of business leaders at the Lead with Love summit this week, offering yoga and meditation is not only a feel-good move, it also makes sense from a business perspective. This is where conscious capitalism enters the picture, and how it relates to an Aspen nonprofit founded to spread yoga and meditation. 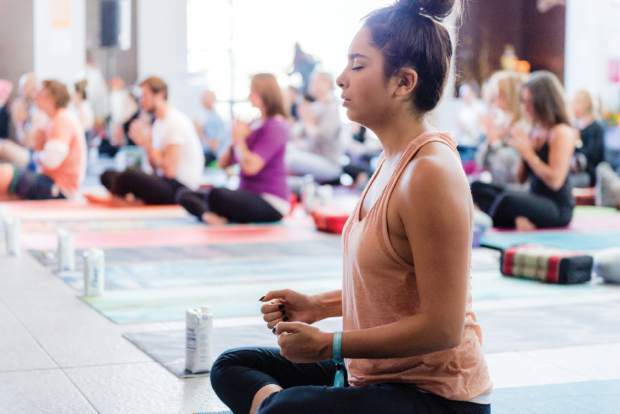 Aspen City of Wellbeing hosted its inaugural event, Lead with Love — centered on yoga, meditation and spiritual psychology — at the Aspen Institute in 2016. The event reach, both in numbers and impact, far exceeded Murdock’s expectations. With the Lead with Love name gaining traction and also resonating with folks beyond the valley, Murdock rebranded the nonprofit. In the midst of Aspen’s offseason last fall, the second summit welcomed 500 attendees, about double its first. With a slew of “world-class presenters,” the 2017 summit also marked its formal debut into the corporate arena. Bringing business into the mix was not only well received by event attendees, Murdock said, but it also gives the summit more impact. For business leaders like Sisodia, who returns to Aspen for his second Lead with Love summit, blending consciousness and capitalism seems obvious. Upon co-authoring the best-selling book, “Firms of Endearment: How World-Class Companies Profit from Passion and Purpose,” Sisodia said, “I decided I would dedicate the rest of my life to this because it was an uplifting and inspiring and just gratifying way to think about business. In 2008, Sisodia launched the Conscious Capitalism organization, which is now a growing global movement. A decade after its creation, the Conscious Capitalism cause spans 18 countries with chapters in 38 cities.